Welcome to Royal Palace Ballrooms! Known as the coliseum, this grand piece of architecture has dazzled guests since 1965, and continues to amaze the public. 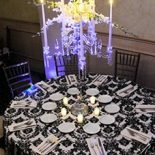 Created at a time when quality in craftsmanship was still a true art form, each banquet hall offers a magnificent environment to properly honor any event. Upon entering you’ll find yourself at the foot of the grand halls—each one with its very own entrance carefully decorated to entice any sit down dinner or an intimate occasion. The variety of services offered will enable you to transform your dreams into masterpieces in Hialeah, Florida. 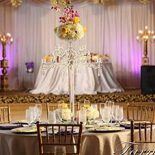 Some of the services we offer: Two ballrooms that will accommodate smaller intimate events and also larger events such as: Special Occasions, Weddings, Receptions, Sweet Sixteens, Quinces, Baby Showers, Corporate Events, Graduations, Bar Mitzvahs, Birthday, Parties, Anniversary, and Private Wedding Ceremonies. 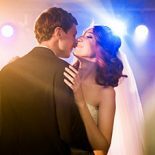 With a stunning cocktail area and all-inclusive packages, this is the reception venue ballroom for you. 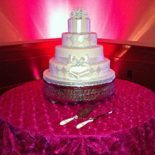 Contact Royal Palace Ballrooms To Reserve Your Party Hall!